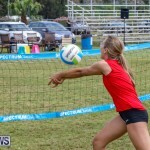 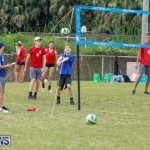 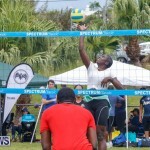 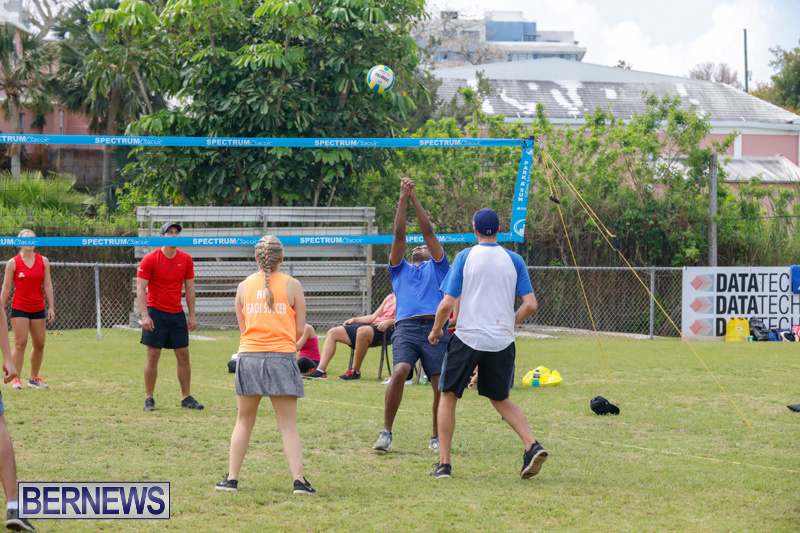 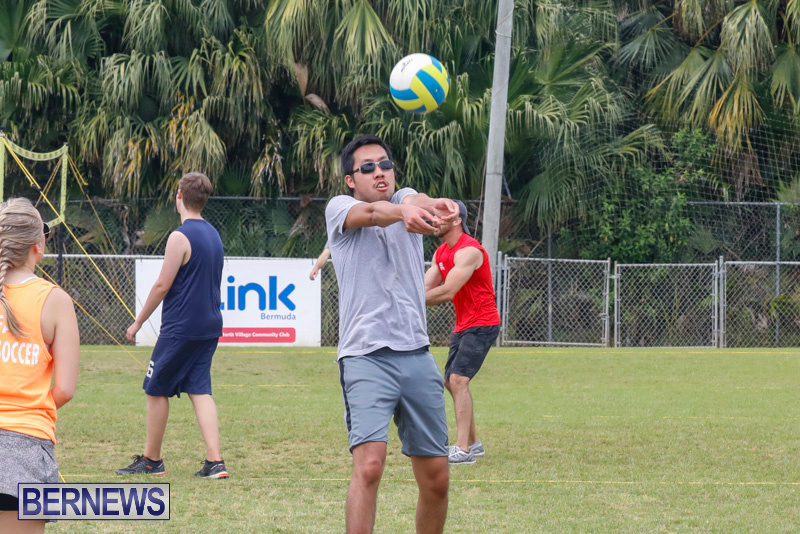 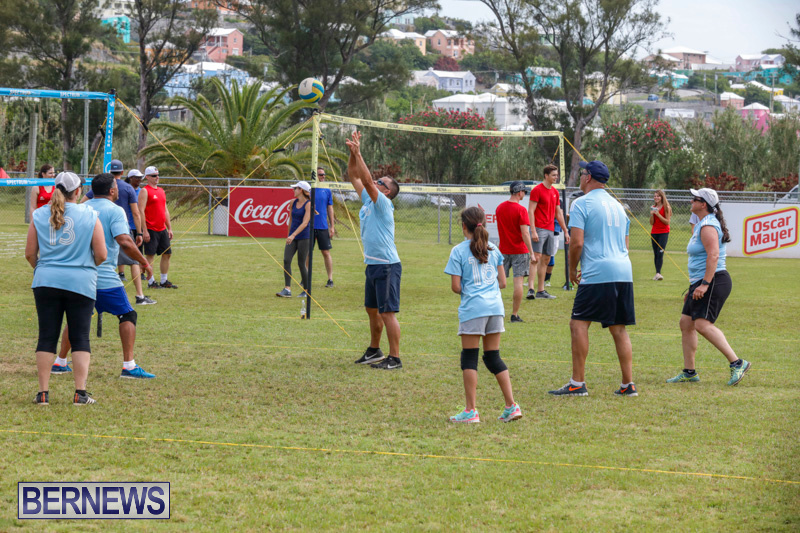 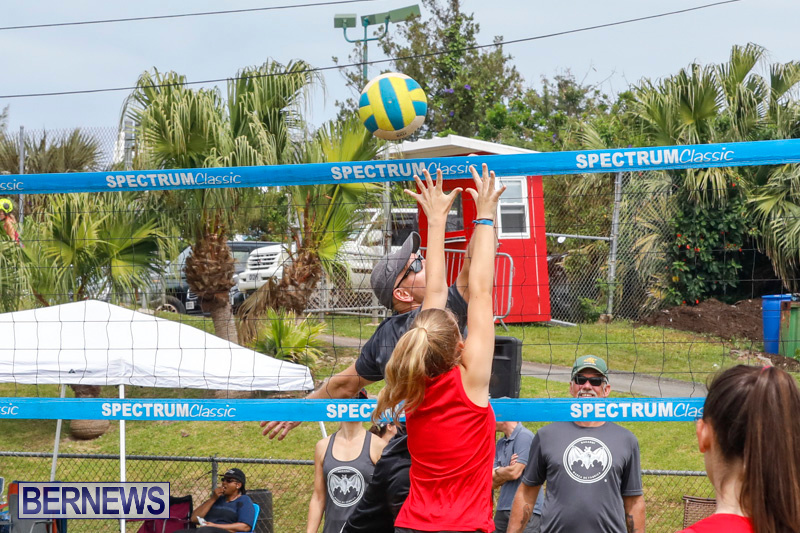 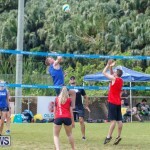 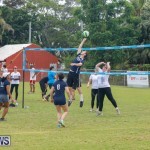 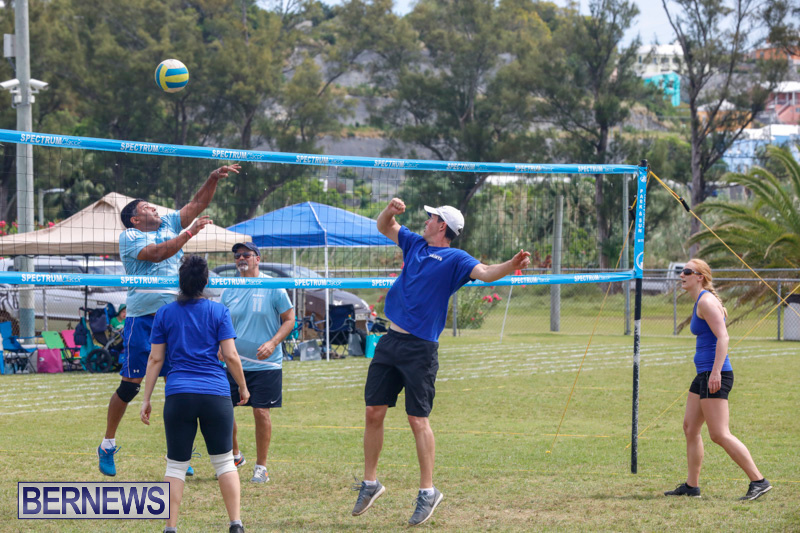 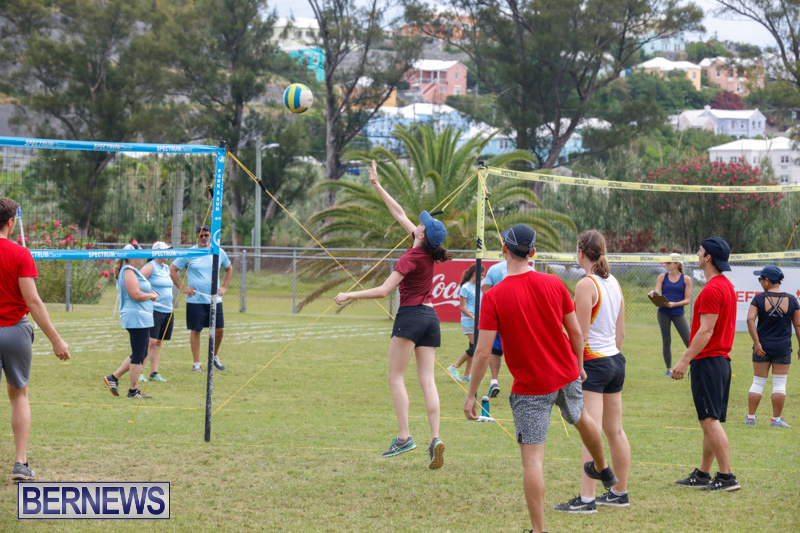 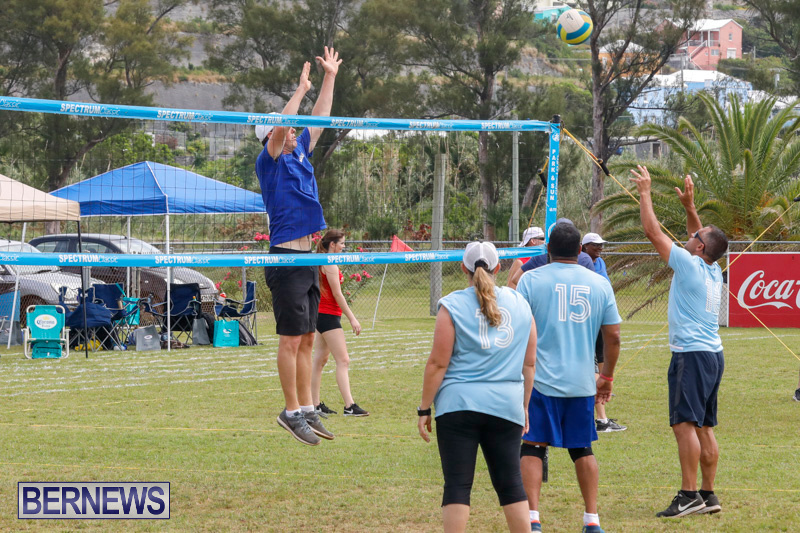 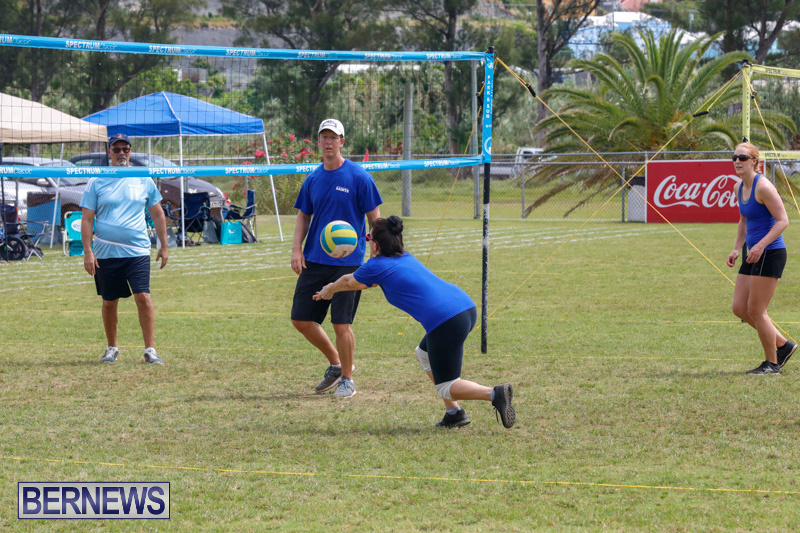 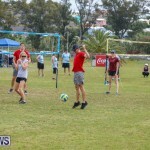 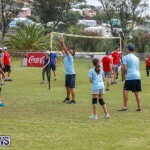 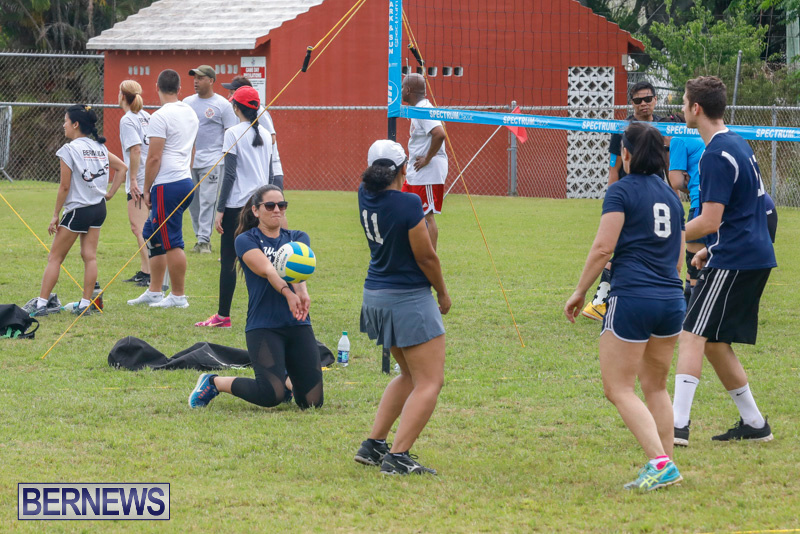 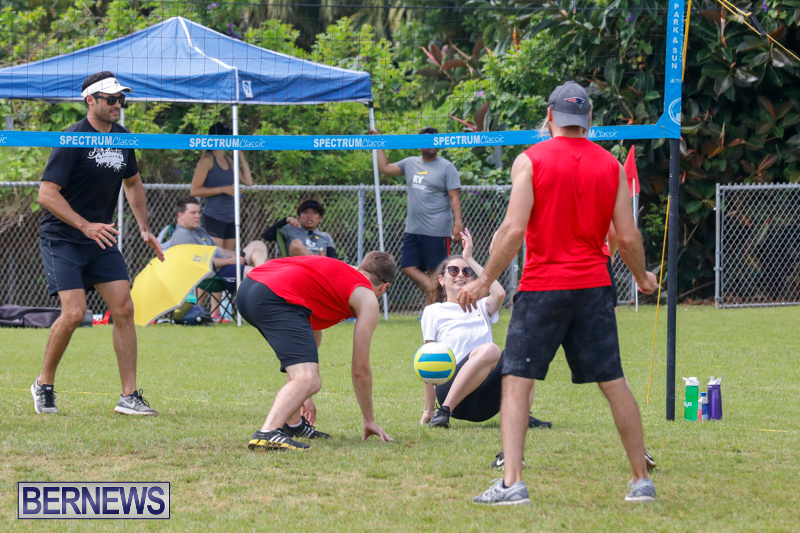 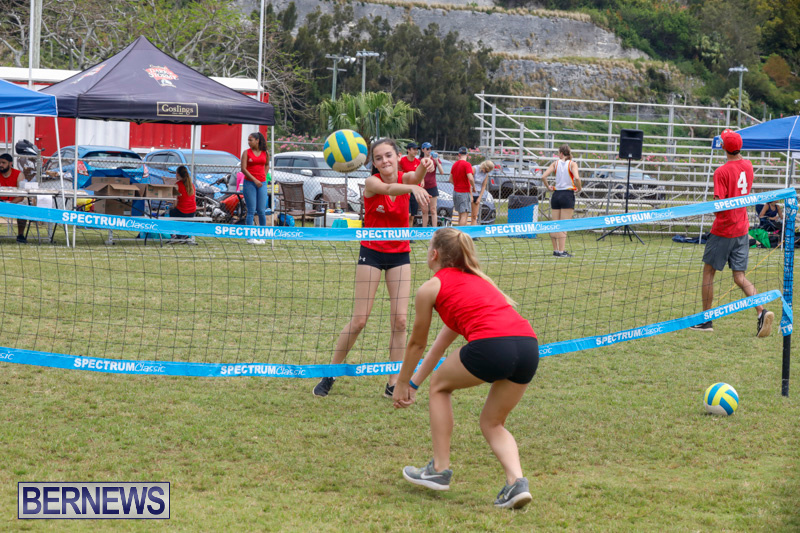 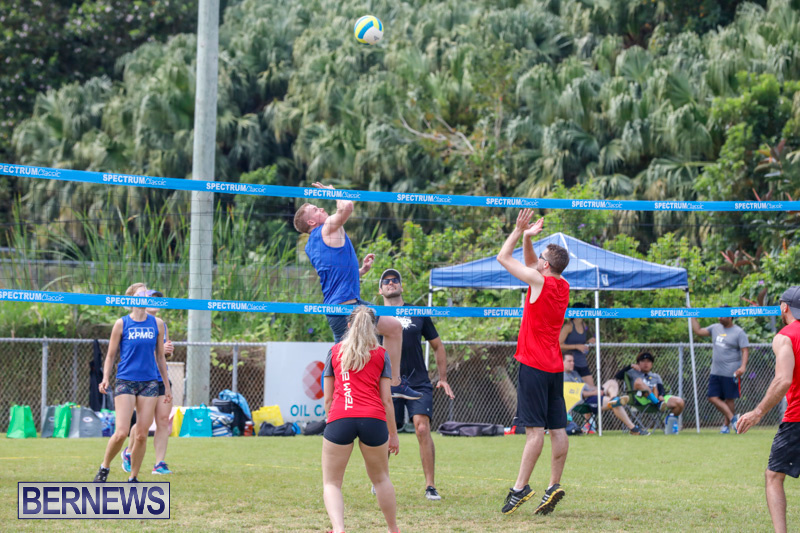 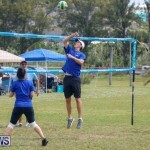 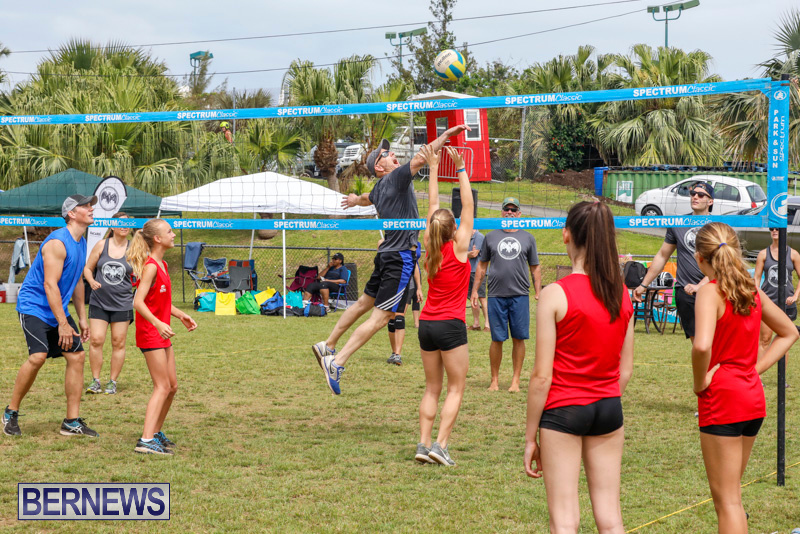 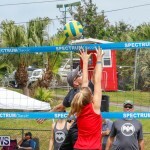 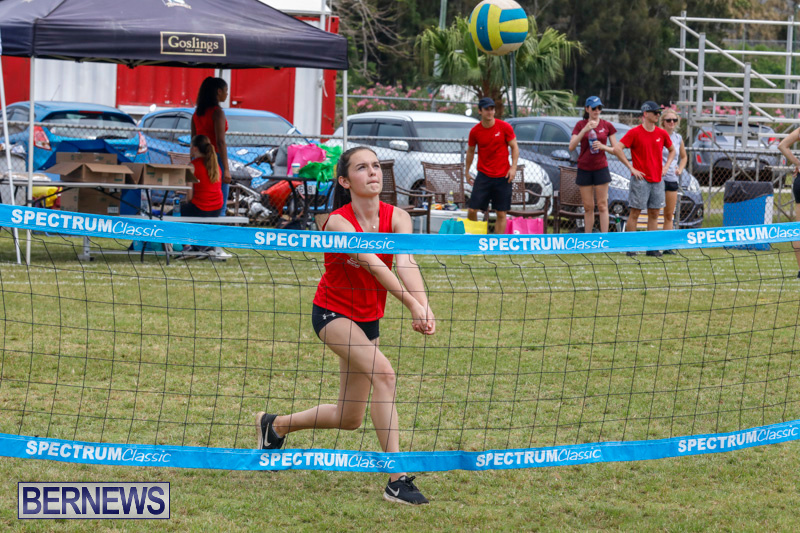 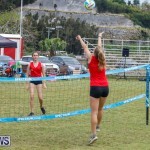 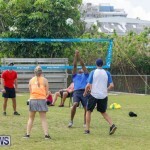 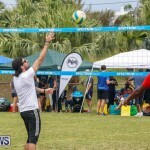 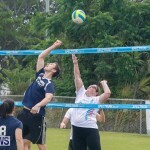 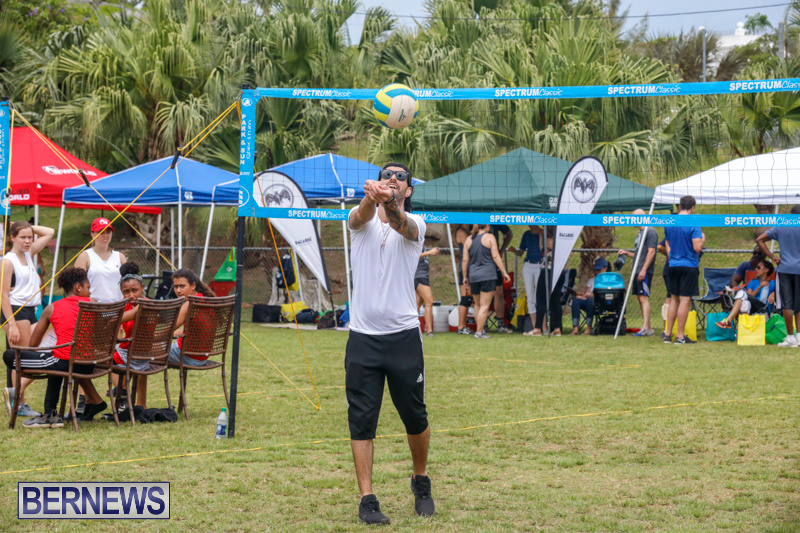 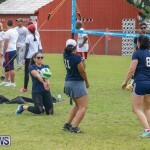 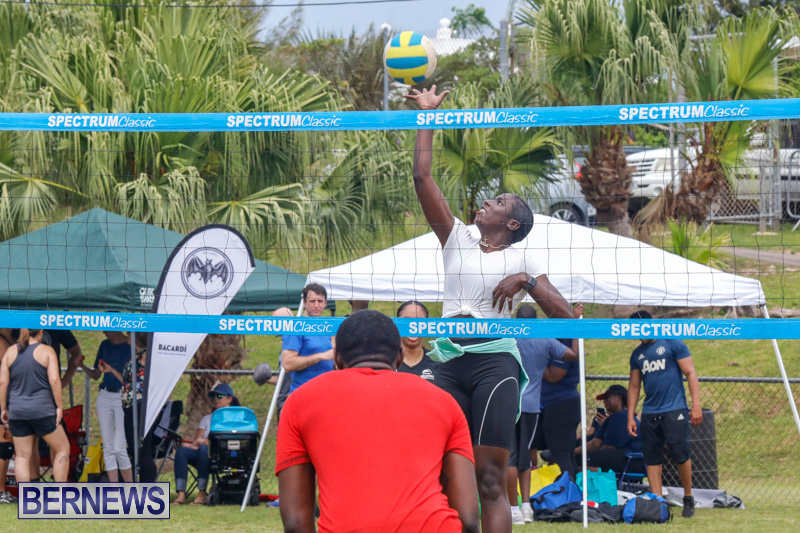 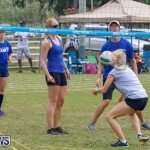 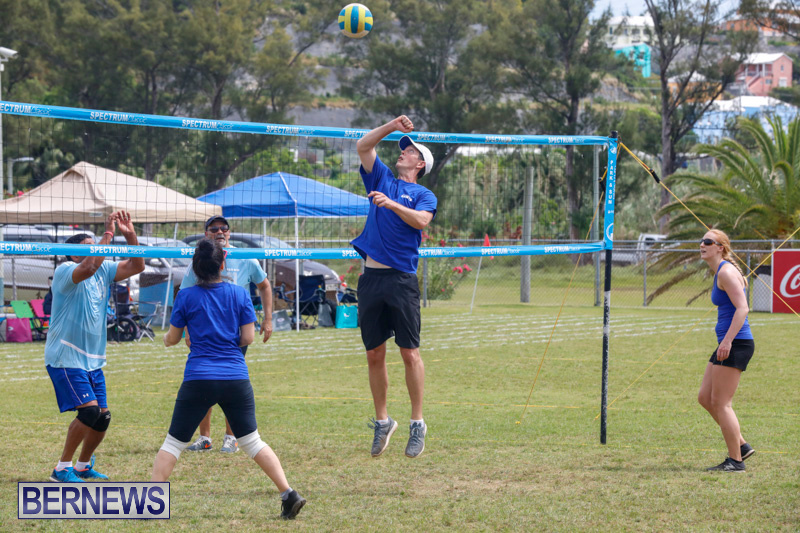 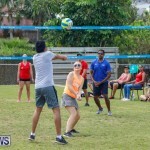 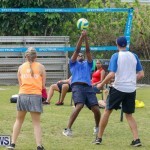 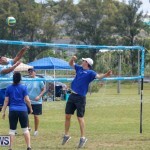 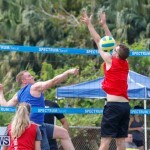 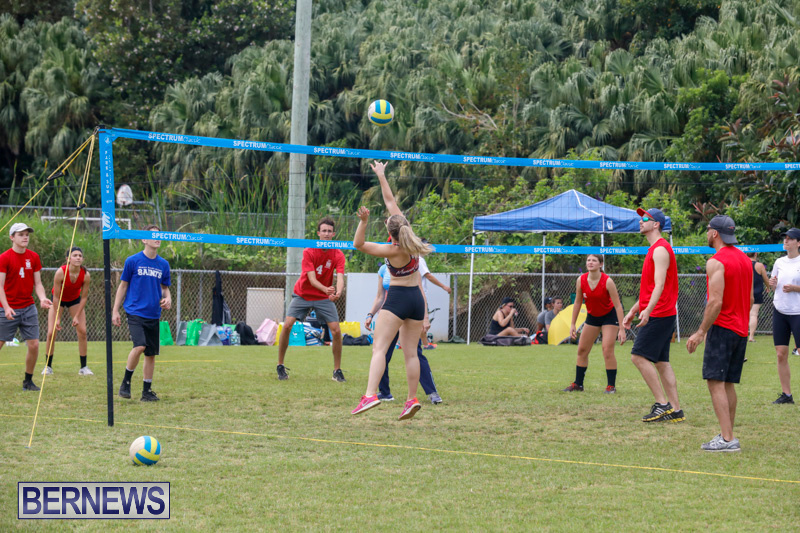 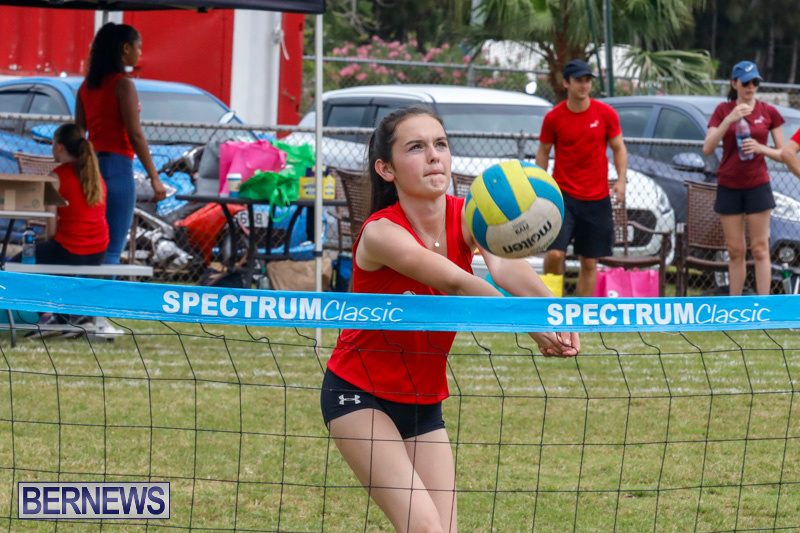 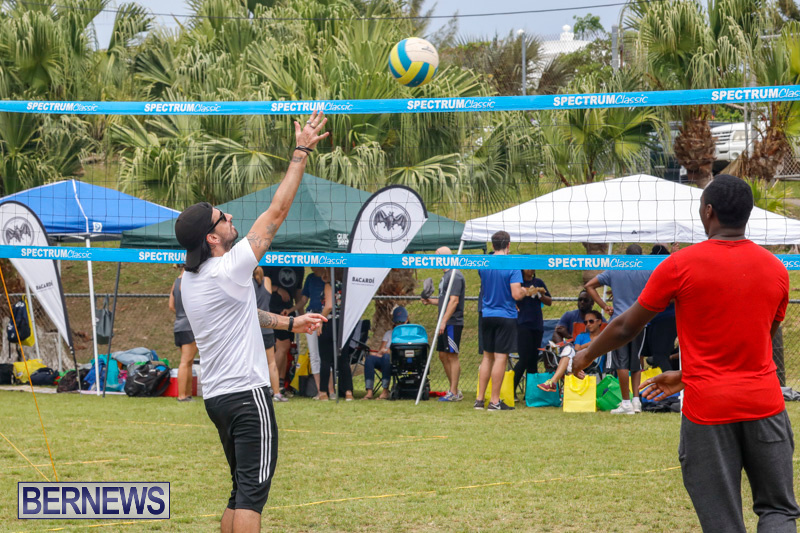 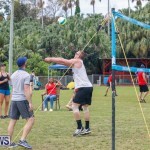 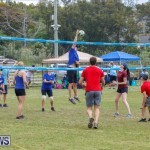 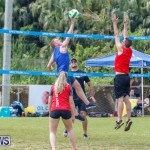 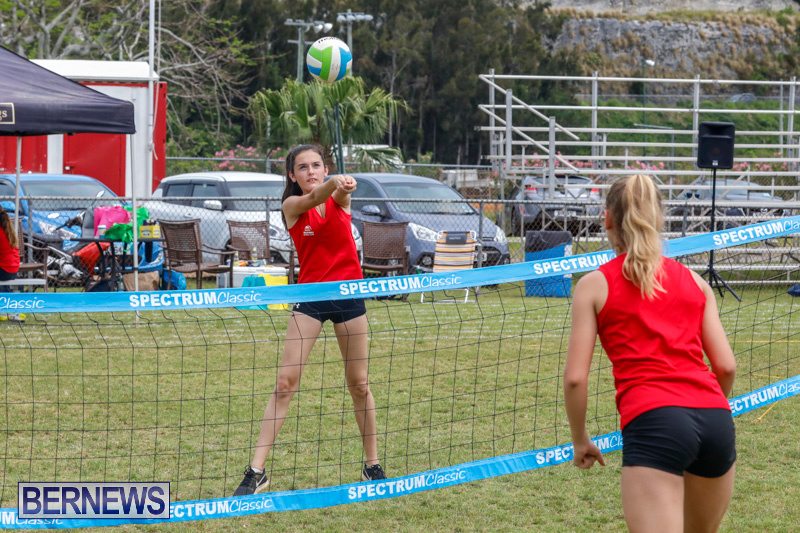 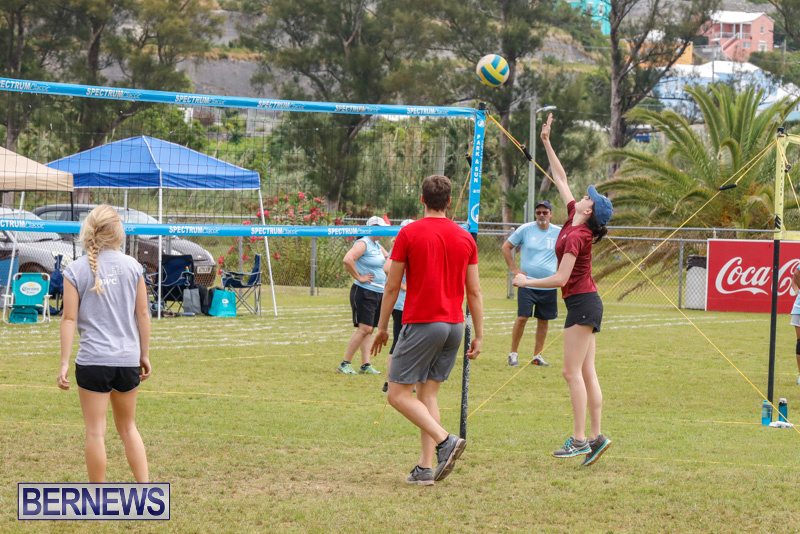 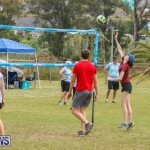 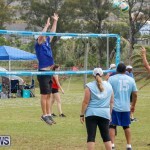 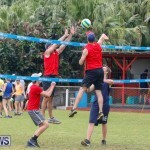 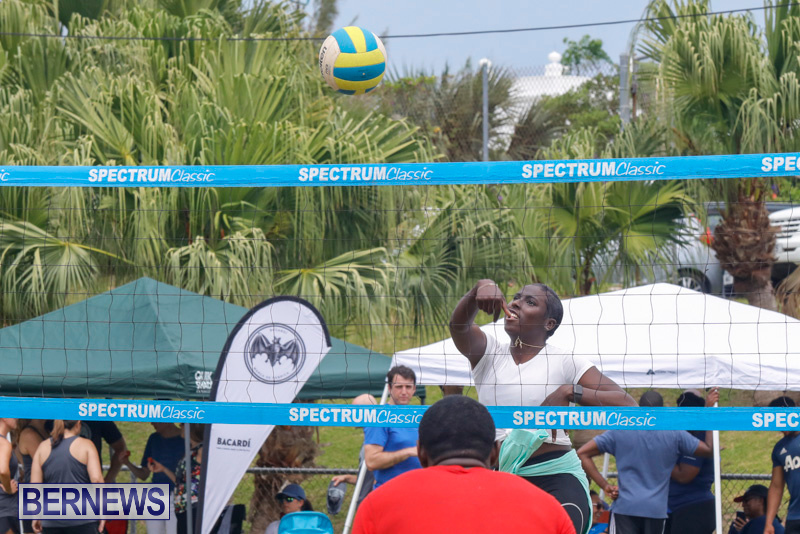 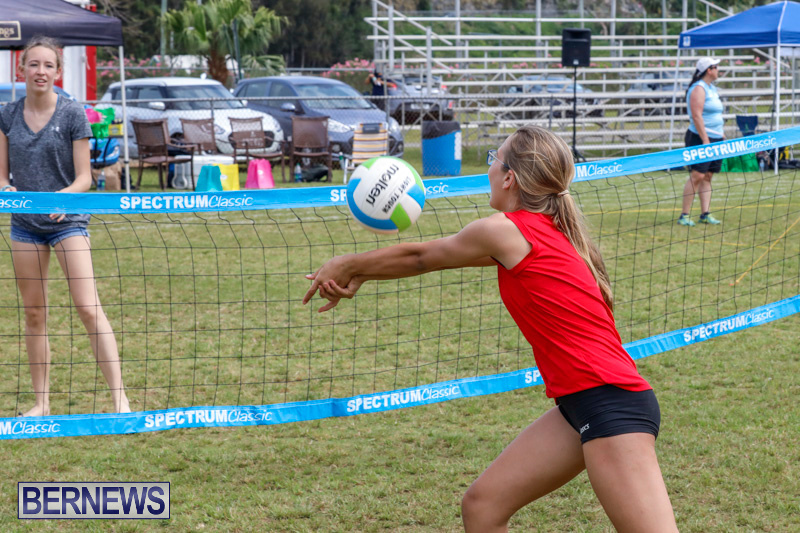 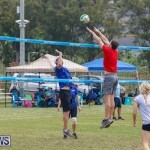 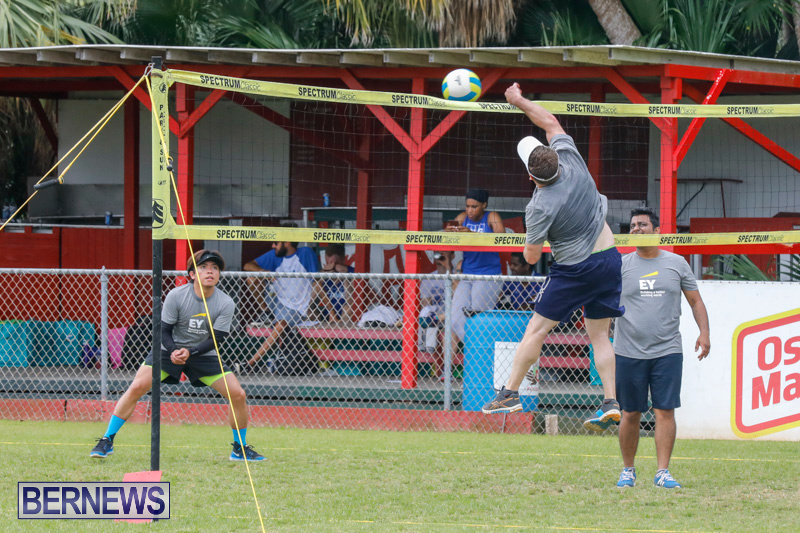 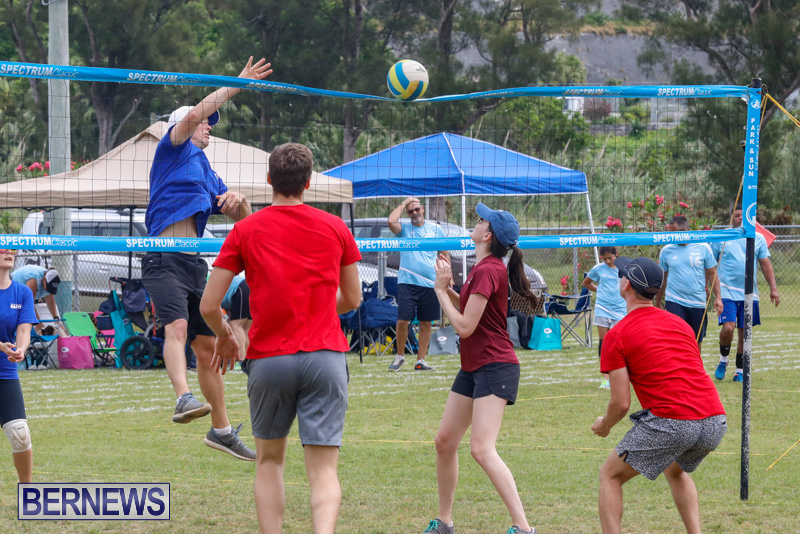 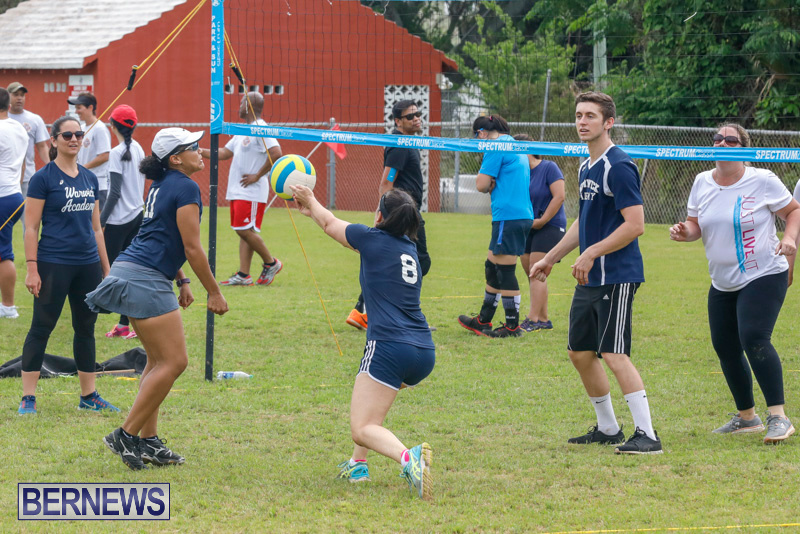 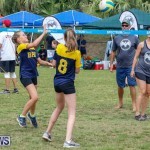 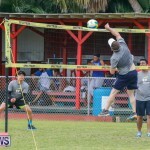 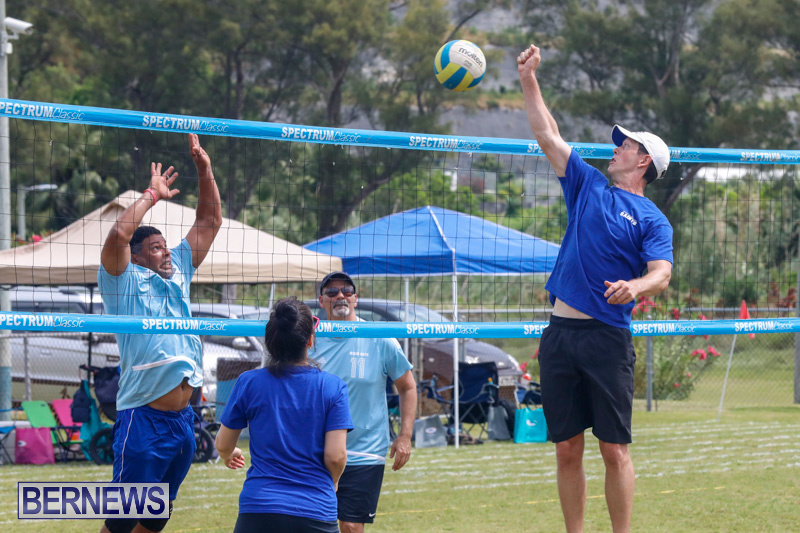 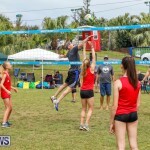 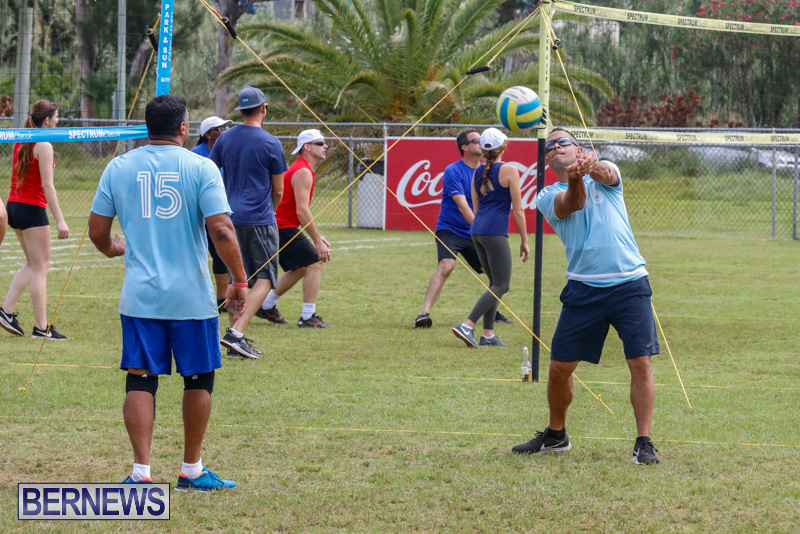 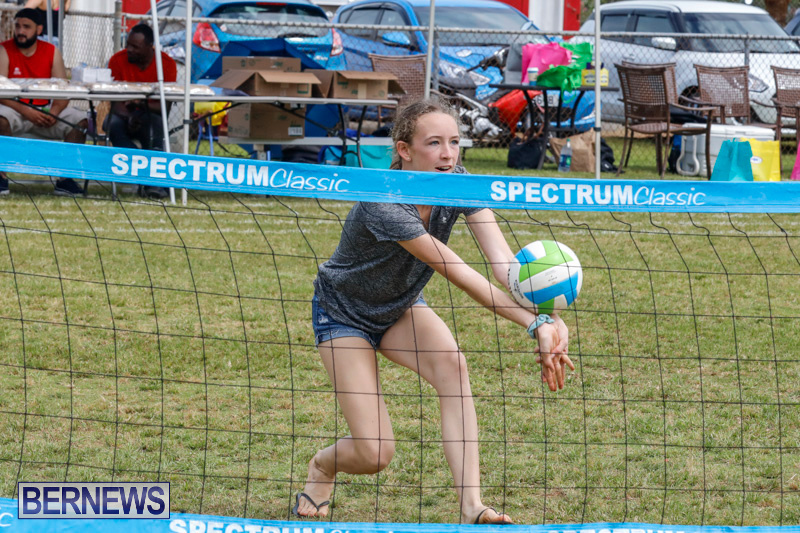 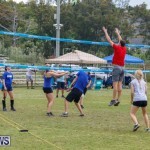 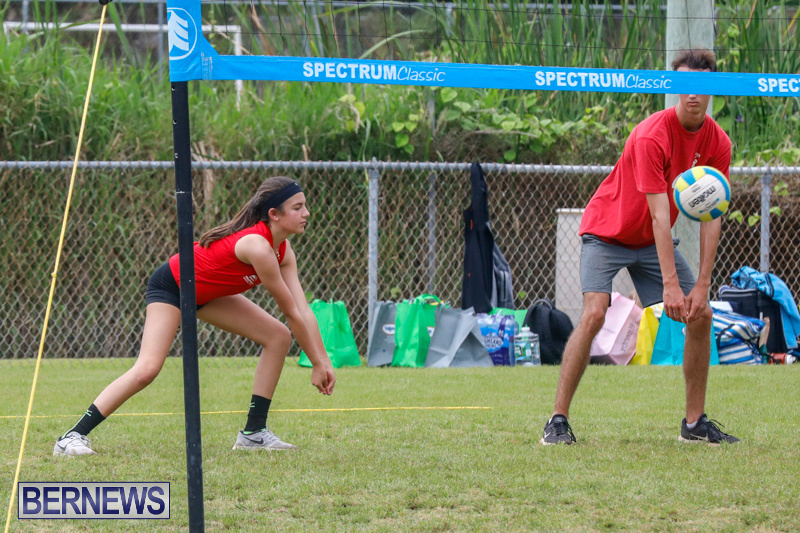 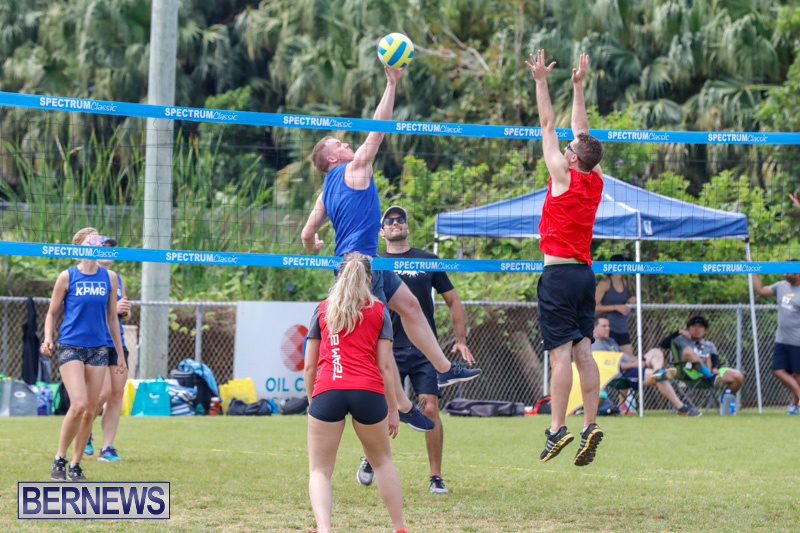 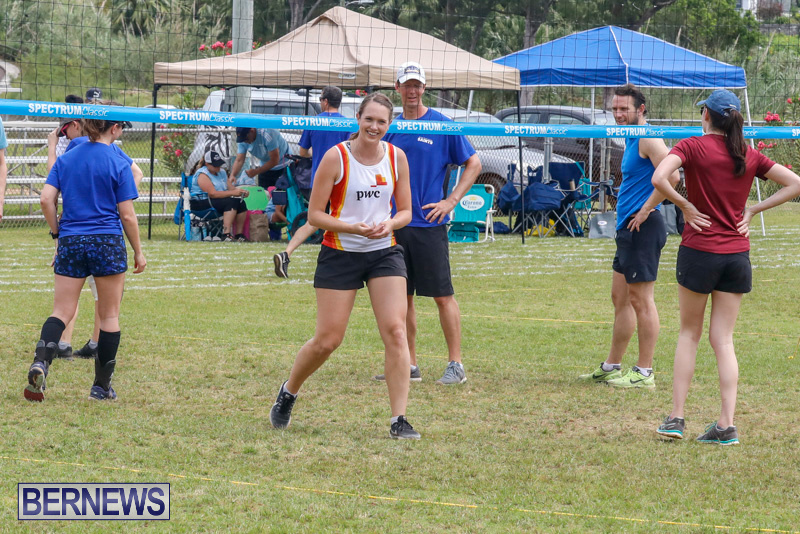 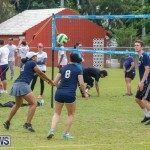 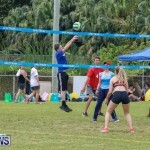 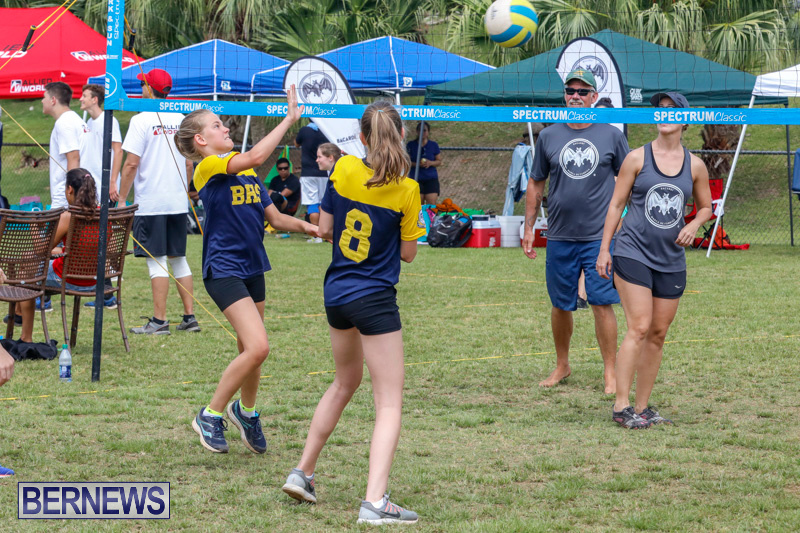 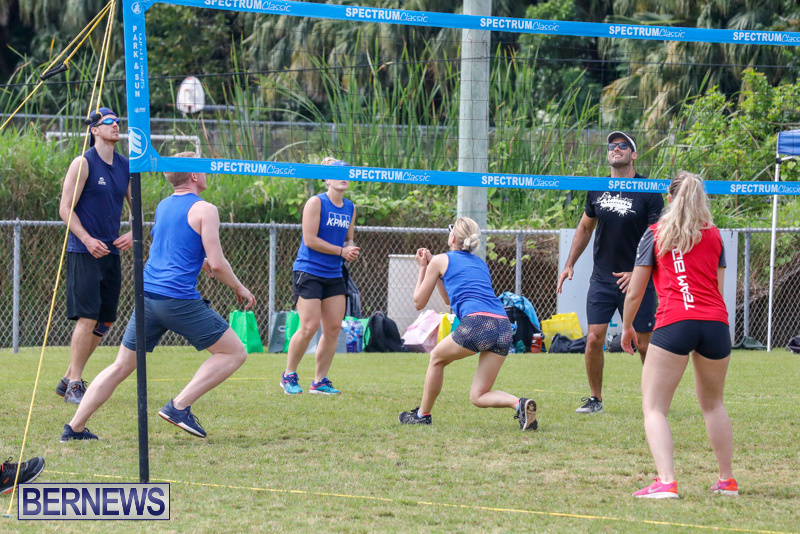 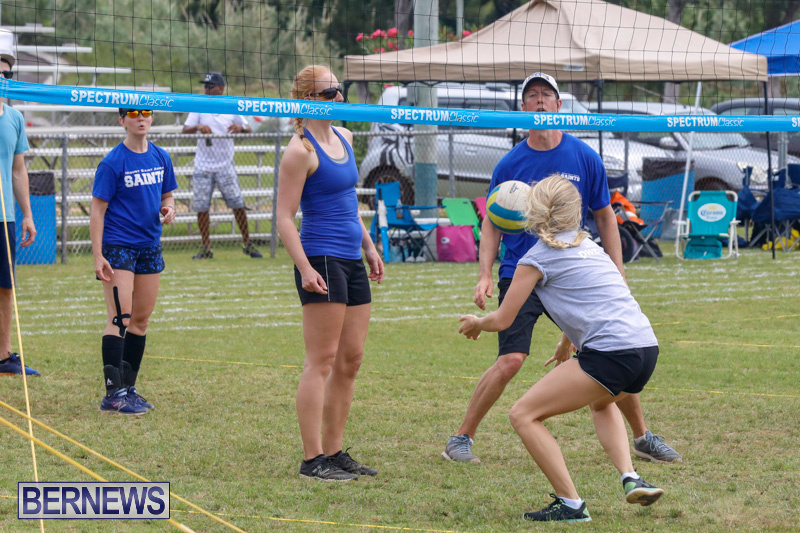 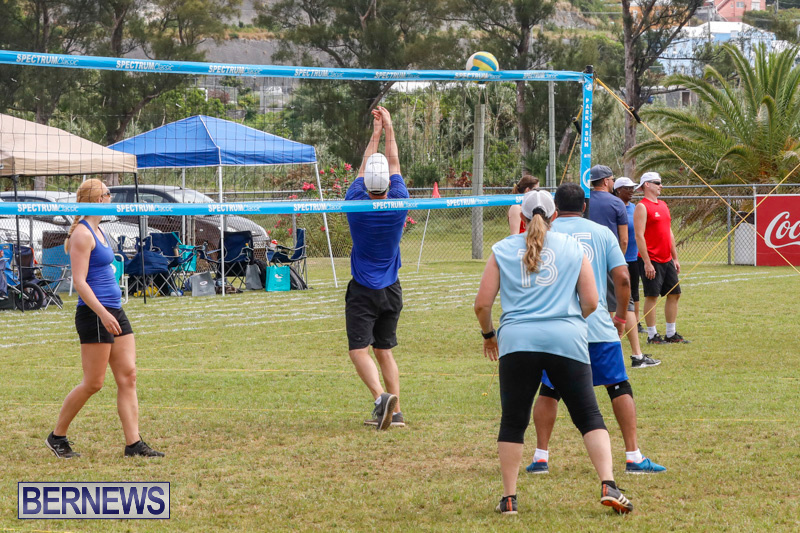 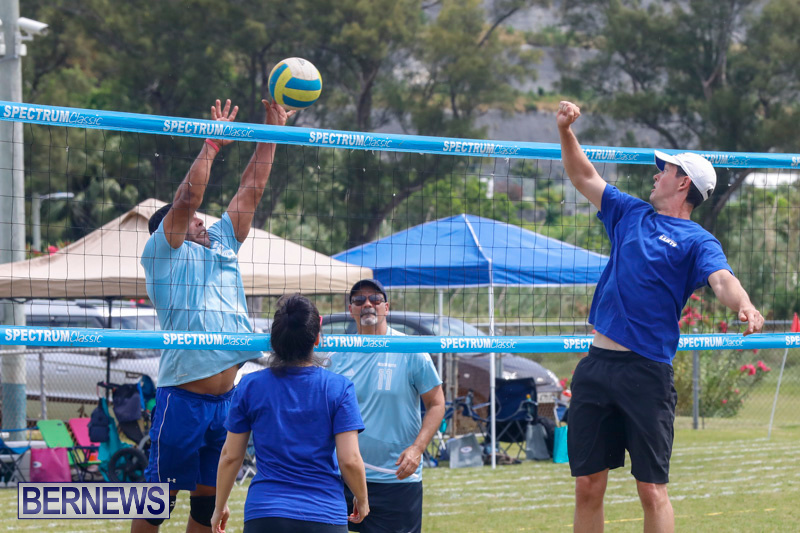 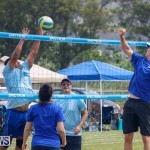 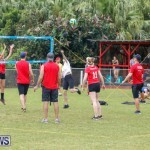 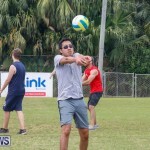 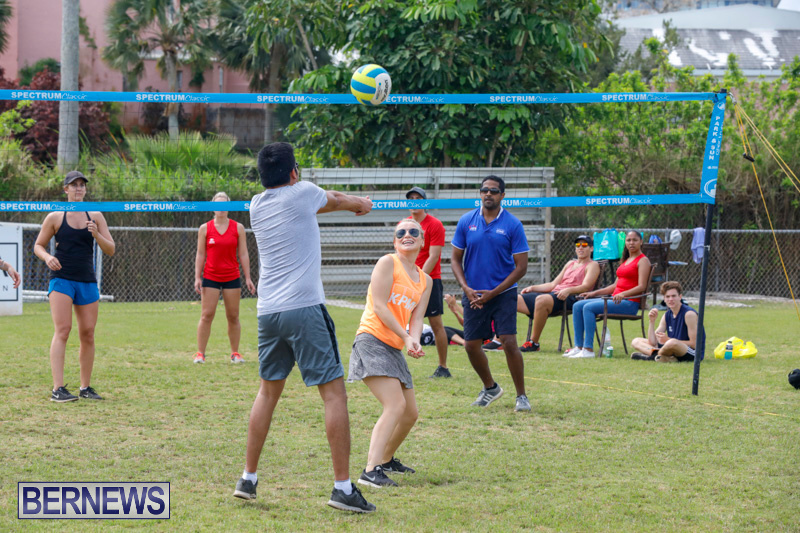 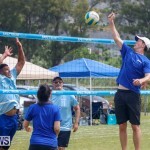 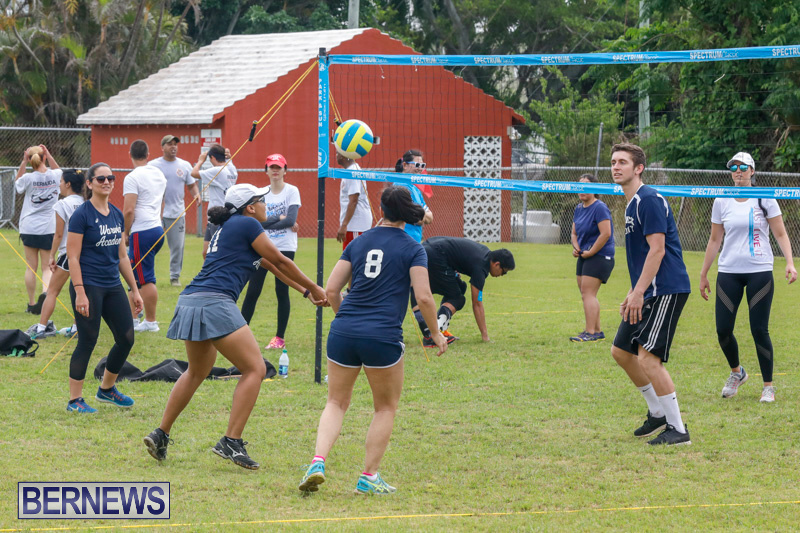 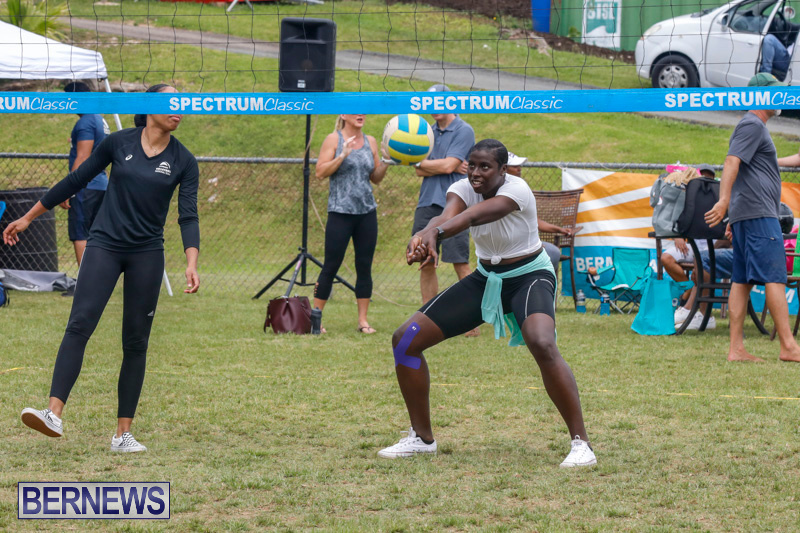 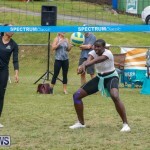 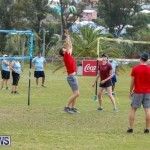 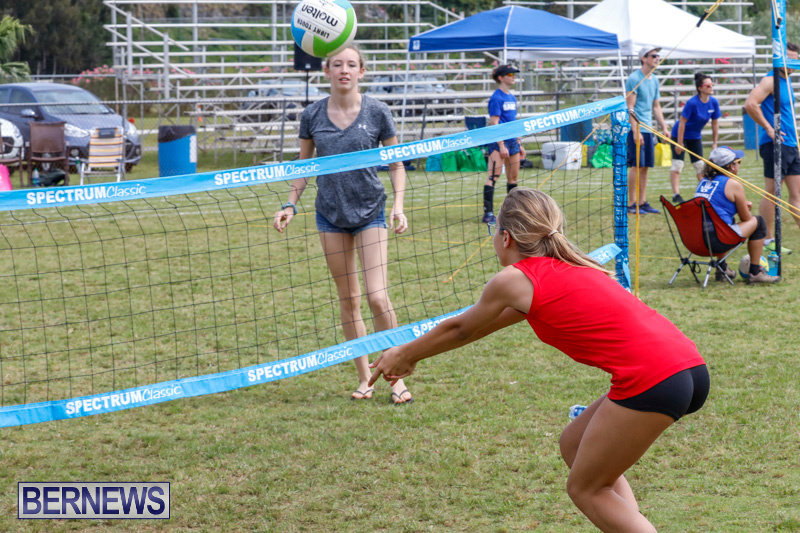 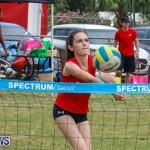 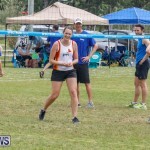 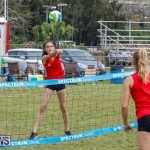 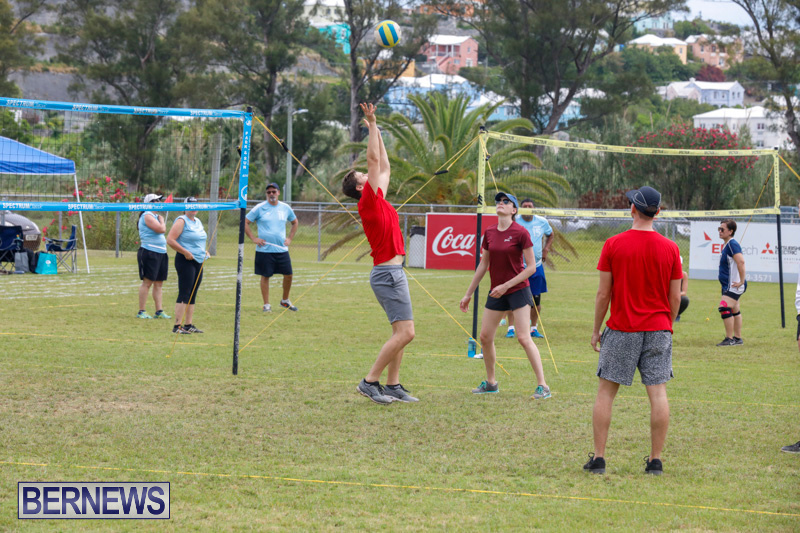 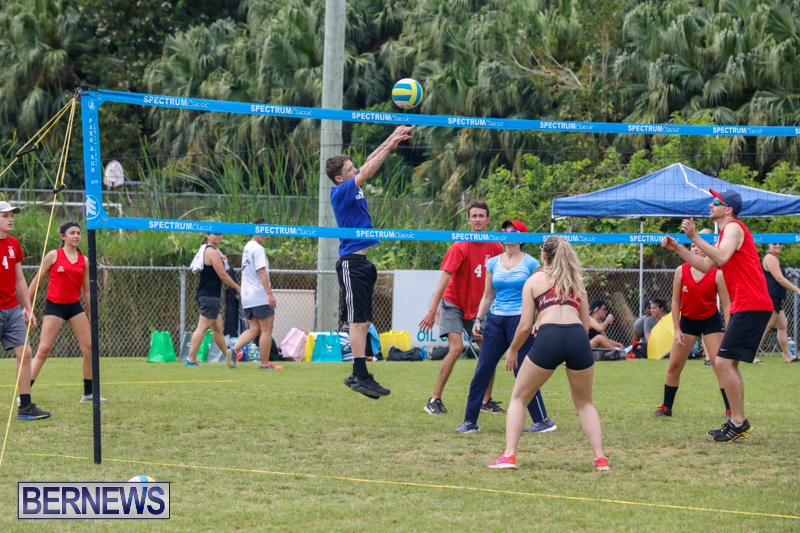 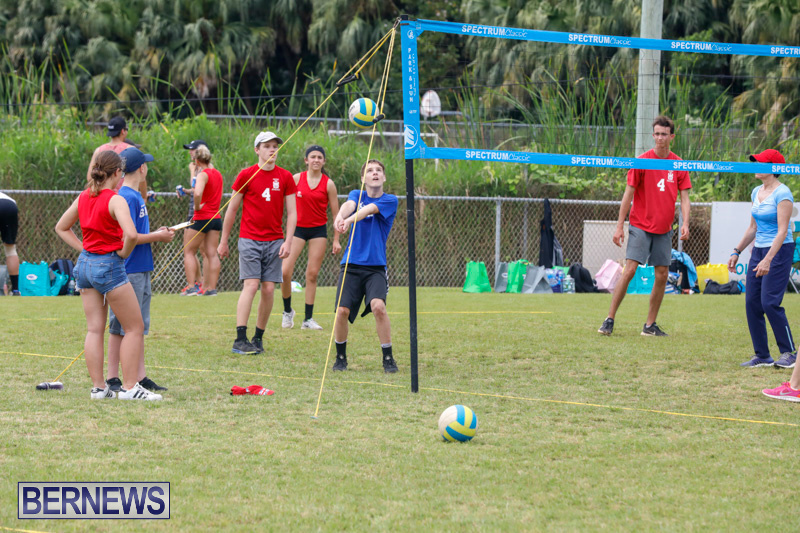 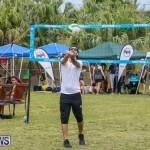 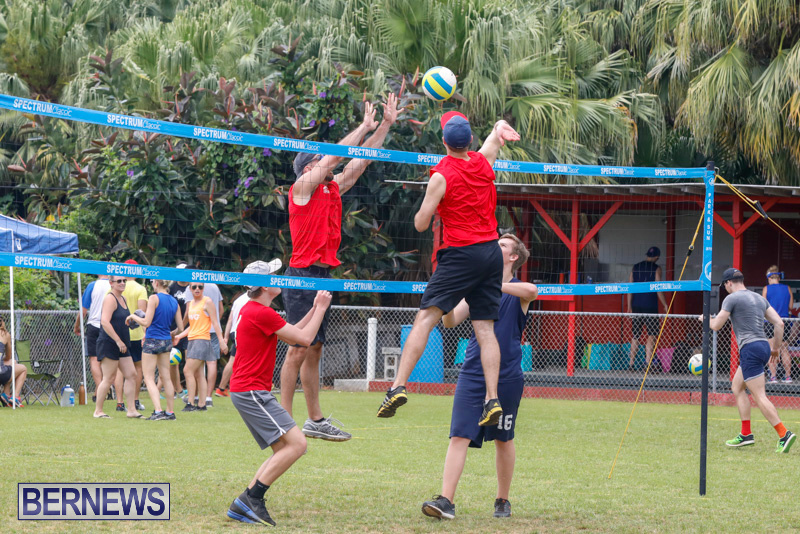 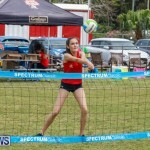 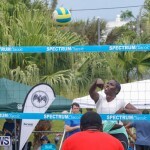 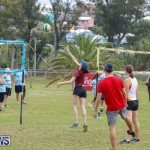 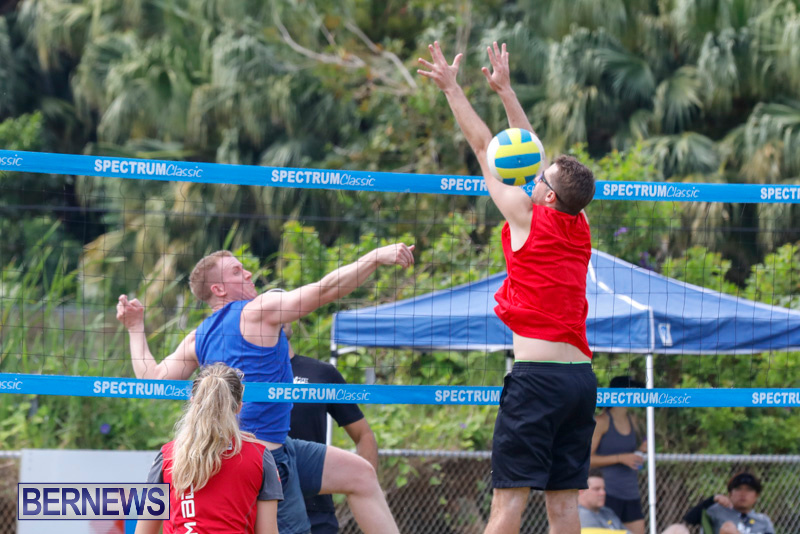 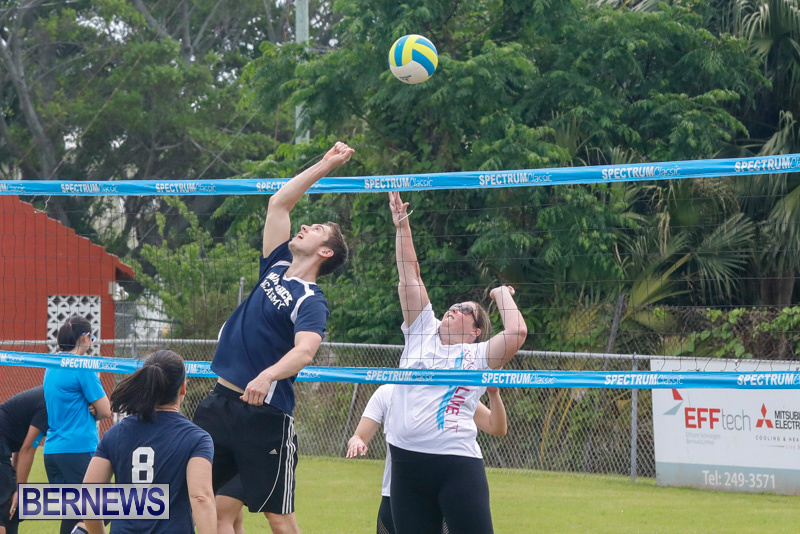 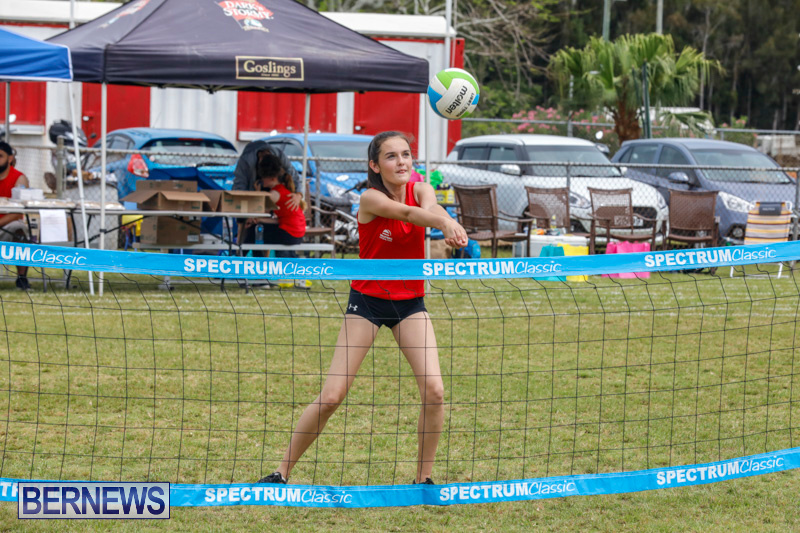 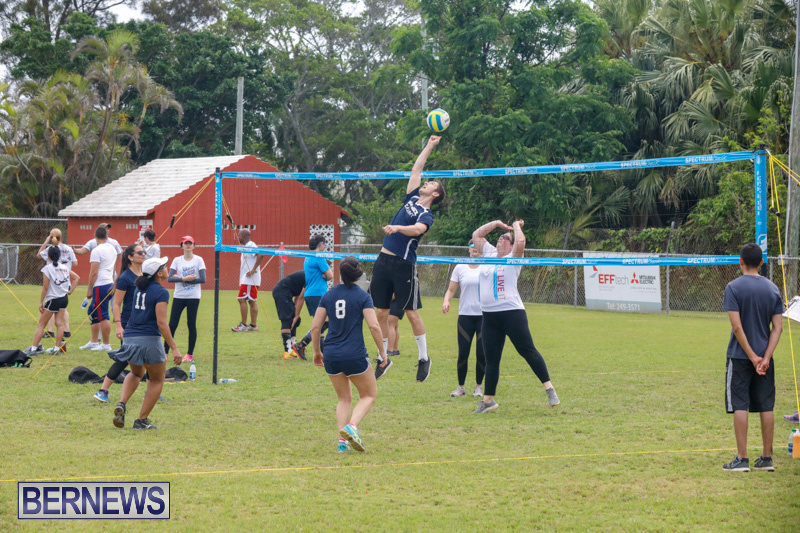 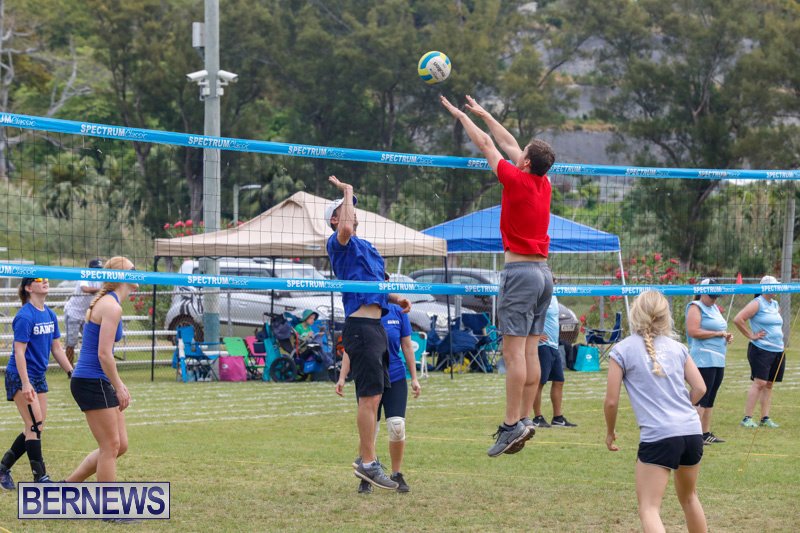 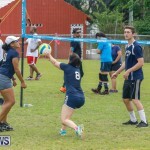 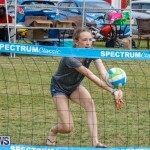 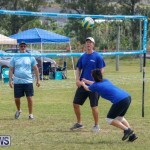 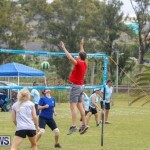 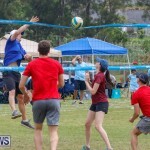 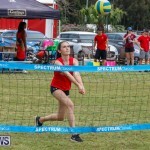 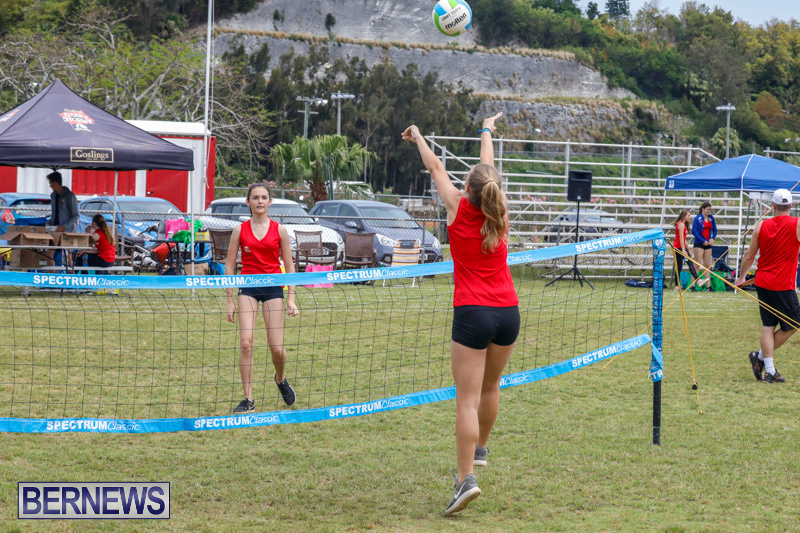 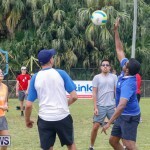 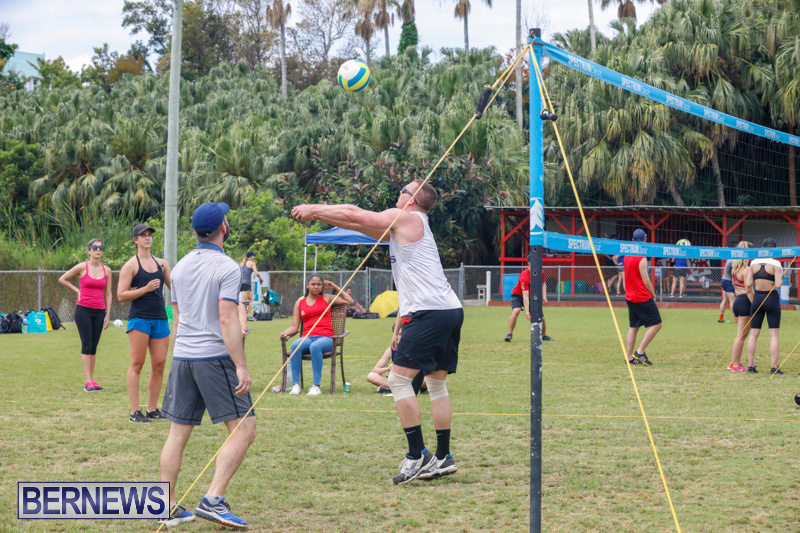 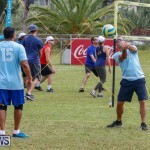 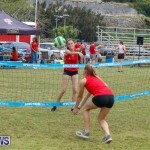 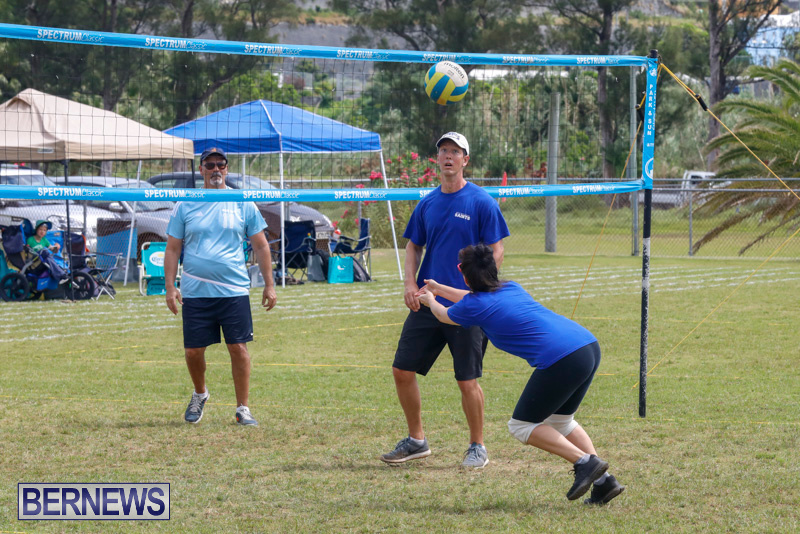 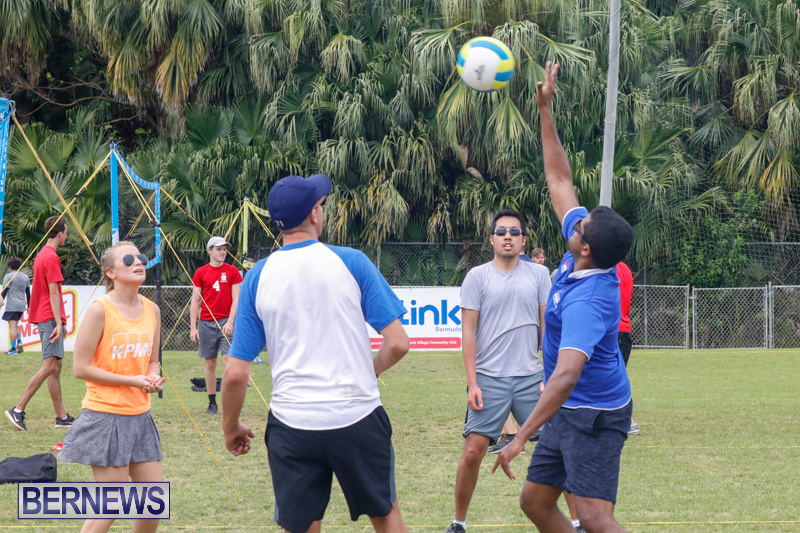 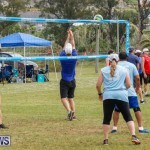 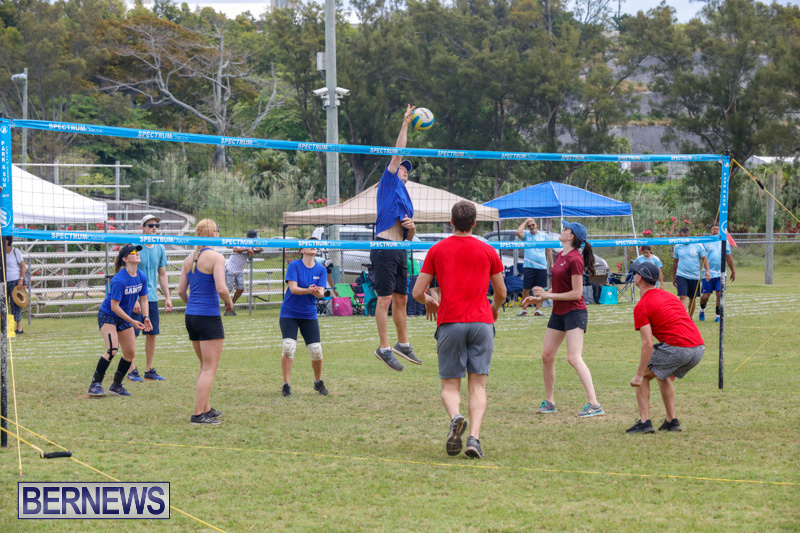 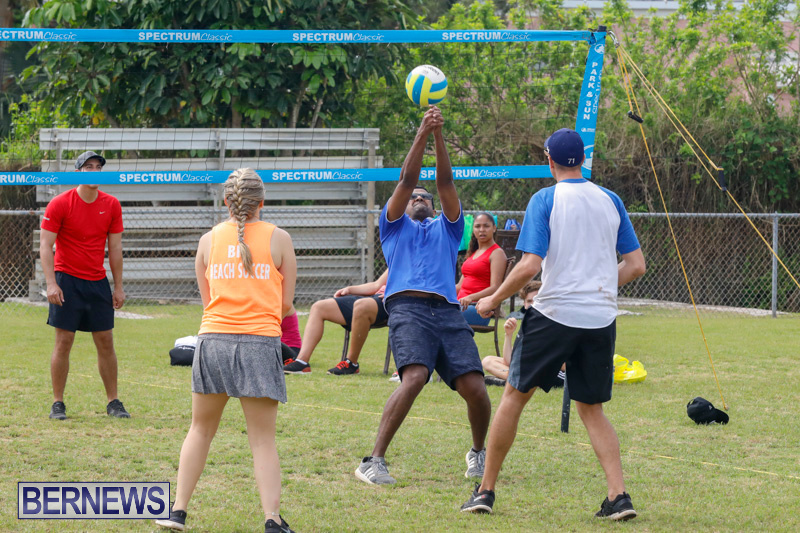 [Updated with photos] The Bermuda Volleyball Association [BVA] is holding their 26th Annual Corporate Volleyball Tournament today [May 12] at North Village Community Club. 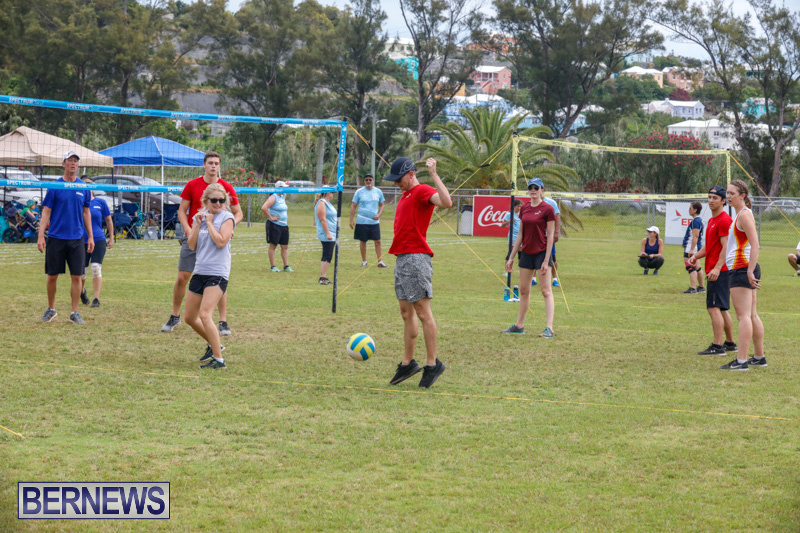 A spokesperson previously said, “The Corporate Tournament is a recreational, co-ed fundraising tournament for players of all levels. 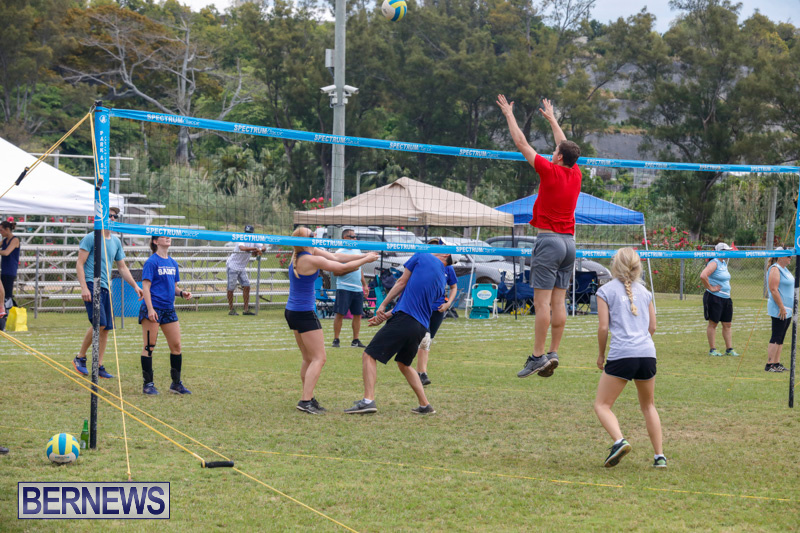 This event is open to non-BVA members and is intended to introduce new people to the sport of volleyball as well as provide groups/companies with the opportunity to participate in a community event together. 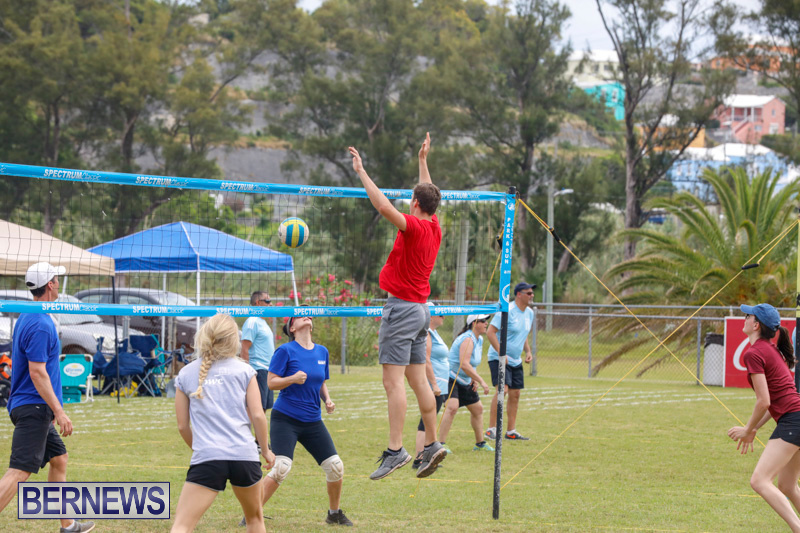 The Corporate Tournament is a family friendly event featuring a KidsZone with bouncy castle, kids mini-volleyball, food & beverage stalls. 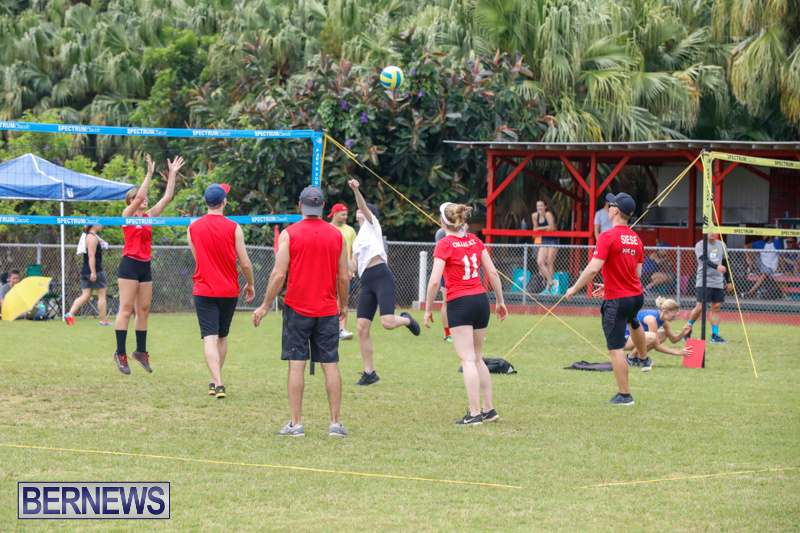 Update: 22 teams took part, with the Tournament being won by the Warwick Academy Bears, finishing in second was the JLT Net Assets, Sets on Fire [Fire Dept] finished third, while the Consolation winners were PRP Performa Net Results.